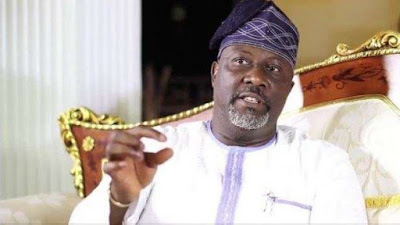 Senator Dino Melaye, on Monday gave reasons why he has refused to accept the service of petition from the electoral commission, INEC, for his recall. Mr. Melaye stated this while briefing journalists in Abuja on Monday. On Monday, Mr. Melaye told journalists that accepting any “purported’’ petition from INEC would amount to breaching the 1999 Constitution (Amended). The senator’s stance comes despite the fact that it was his suit filed at the court that eventually led to INEC suspending the recall process, before the Federal High Court eventually asked that it continues. “It is clear that by the provisions of Section 69(b) of the 1999 Constitution, INEC must act on the petition purportedly presented to it on June 23, 2017 by conducting a referendum within 90 days of receipt of the petition,” Mr. Melaye argued. Mr. Melaye added that it was only right to respect the provision of the Constitution. Melaye said that having asked his lawyer to file appeal against the judgment by the court, he was aware that the matter was subjudice. He added that it was in view of that that he chose to speak only on the “socio-political aspect’’ of the matter.